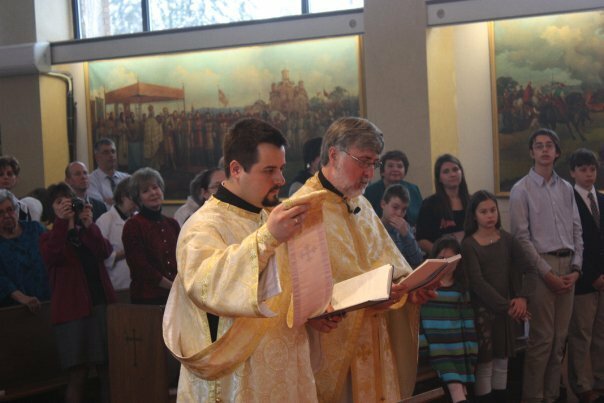 McKeesport, PA - His Grace Bishop Mitrophan officiated at the Divine Liturgy at St. Sava Serbian Orthodox Church in McKeesport, Pennsylvania on Forgiveness Sunday, February 14, 2010, and ordained seminarian Christopher Rocknage to the rank of deacon. Fr. 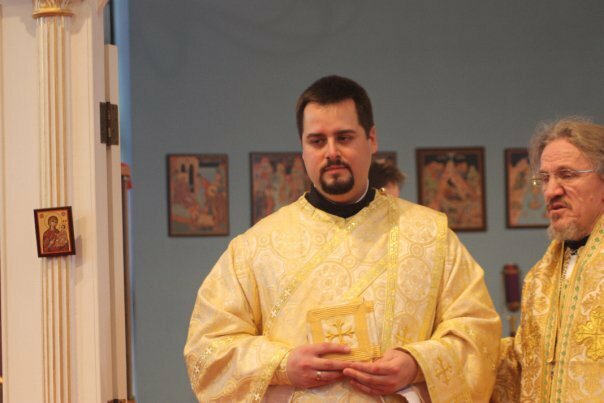 Deacon Christopher Rocknage was born in Steubenville, Ohio on April 26th, 1980; as a young boy of 5, he moved with his parents, Stephen and JoAnn (Dragelevich) Rocknage and sister Mileva to St. Vladimir's Orthodox Seminary in the Fall of 1985 so that his father could enroll in Seminary. 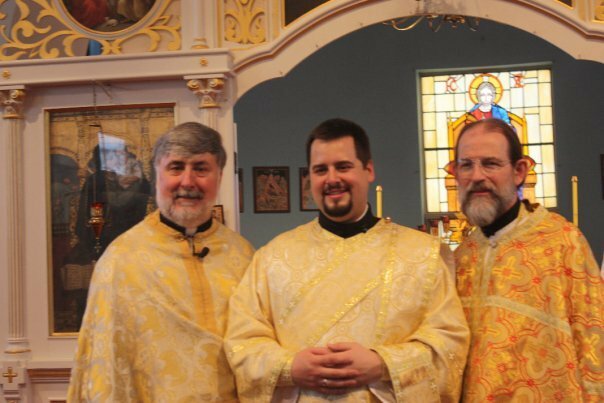 Three years later, he was able to serve at his father's Ordination to the Holy Priesthood at Holy Resurrection Serbian Orthodox Church in Steubenville, Ohio on April 17th, 1988. From his earliest experiences, Christopher loved to serve and sing in the Holy Altar with his father, Prota Stevo Rocknage, whether it was Vespers, Matins, or other special services, one would always find Christopher serving as his Dad's 'right hand'! After completing high school (where he graduated third in his class), Christopher attended Duquesne University, where he was a member of the renowned Tamburitzans, and graduated with a BS in Psychology. 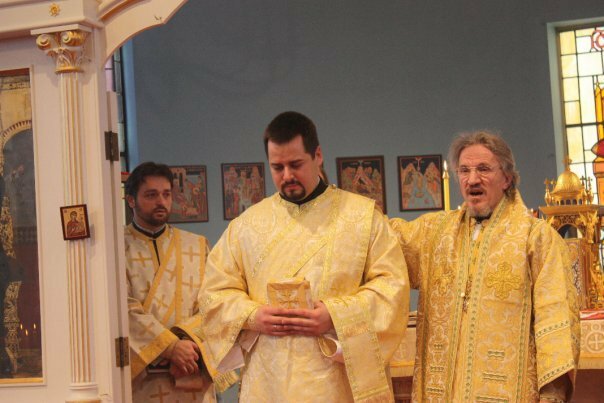 After working several years, he received a blessing from his diocesan hierarch, Bishop Mitrophan of Eastern America to attend St. Vladimir's Orthodox Seminary, where he graduated in 2007 with a Masters of Divinity. By God's Grace, he moved to California, fell in love with the beautiful Andreja Balach, daughter of the Very Rev. 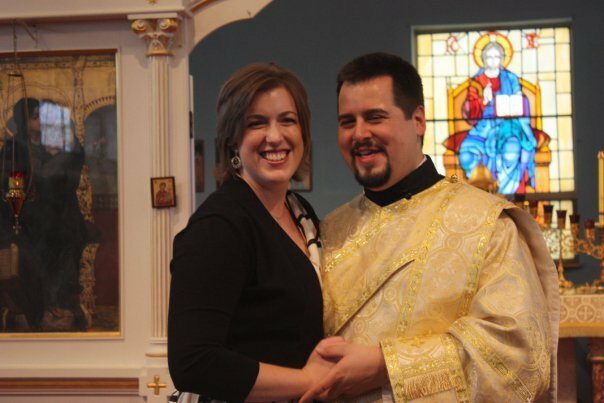 Ilija and Carol Balach, and was joyfully married on June 13th, 2009 in St. Stephen's Serbian Orthodox Cathedral in Alhambra, California. Since that time, he has served as the Church Secretary and Choir Director. With his entrance into the ranks of the Clergy, Fr. 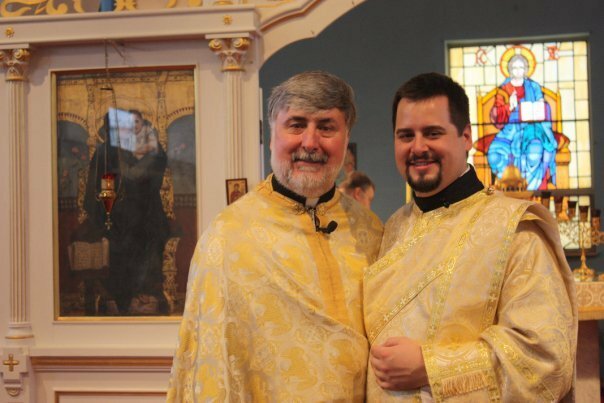 Deacon Christopher awaits his 'call' to take on the mantle of 'priest' in our Holy Orthodox Faith, hoping to return to the Eastern Diocese by early summer." "AXIOS!" "WORTHY", Fr. Deacon Christopher Rocknage. Ziveo na Mnogaja Ljeta!